Map in the stars — Lighthouse Letters. Come and gaze at the starts with me! Just like everything I created, there are so many purposes you cannot see yet. 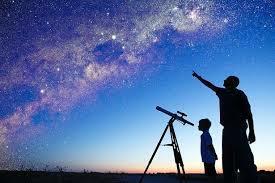 The stars are designed to shine light, and still there are so many you cannot see with the naked eye. In the same way you see the stars like a dot-to-dot picture, is the same way sometimes you try and draw a picture out of only a few dots. This can make the picture obscured or wrong, or cause grief and worry. Or take the moon. If you look at it in its crescent stage without the knowledge that the moon is a round circle, your picture and knowledge is based upon what you see at that moment in time. It will never make sense if there a dots missing, you must trust in me to draw it out along the way, like a map in the stars. If you know that I am good, you will begin to lose the worry for things unseen or unknown. This is not my design or purpose for you! Yet I am the star breather, the great map maker, true north. I am your reliable companion with a purpose and design for your life as intricate as the stars in the solar system. Despite circumstance or situation; let your journey be guided by knowledge of who I am, my power and love, over what is seen.